Time to be mesmerized? Spellbound? Or better yet: Hypnotised by an expert who has a 94% success rate? That's what my latest 3-way trade involves- and it has the potential to become a five-way trade! Warren Thackeray studied at the United Kingdom Hypnotherapy Training College under Freddie and Anthony Jacquin. They are the big names in Hypnotherapy. After that, Warren started his own practice in Harley Street, London. Since moving back to South Africa in 2008 he has continued hypnotherapy sessions on a smaller scale. I met Warren when he and Fraser of Absolute Magazine challenged me- They said that they would get more views of "one matchstick, The Movie" on Absolute Magazine than YouTube would. And they won – it was a breeze for them! They got 413 views vs YouTube's 168. Now, a couple of months later, Warren has offered me some Hypnosis Sessions in exchange for Springleap T-shirts – he's keen to trade with me! Have you ever seen something that you knew you just had to be a part of? Something that just said "You need this in your life now." PowerfulChange Hypnotherapy with Warren can be the catalyst that helps you get what you want in your life. Imagine having the courage it takes to free yourself from unwanted habits, doubts or fears. 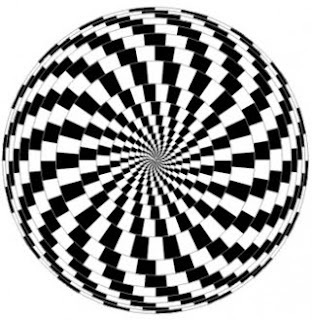 Studies show a vast range of benefits using hypnosis to heal the mind and body. Warren is offering three sessions for three people (or if you want you can take all three!). In this session you'll finally kick the habit and it'll cost you the price of 3 T-shirts, which is R585 – that's a saving of about 25%! Each session will cost just R219 – that's for one T-shirt per session, and a saving of about 45%! Warren specialises in stop smoking therapy, weight loss and helping people overcome phobias and fears, and is based in Cape Town. So if you'd like to get what you want out of your life and experience the benefits of hypnosis, CALL ME 0837302979 so we can trade! You can take all three sessions, or just pick the one session you want, and pay the cash to change your life. You'll get to stop smoking or loose weight or break old habits etc. I'll be 5 T-shirts closer to my goal.